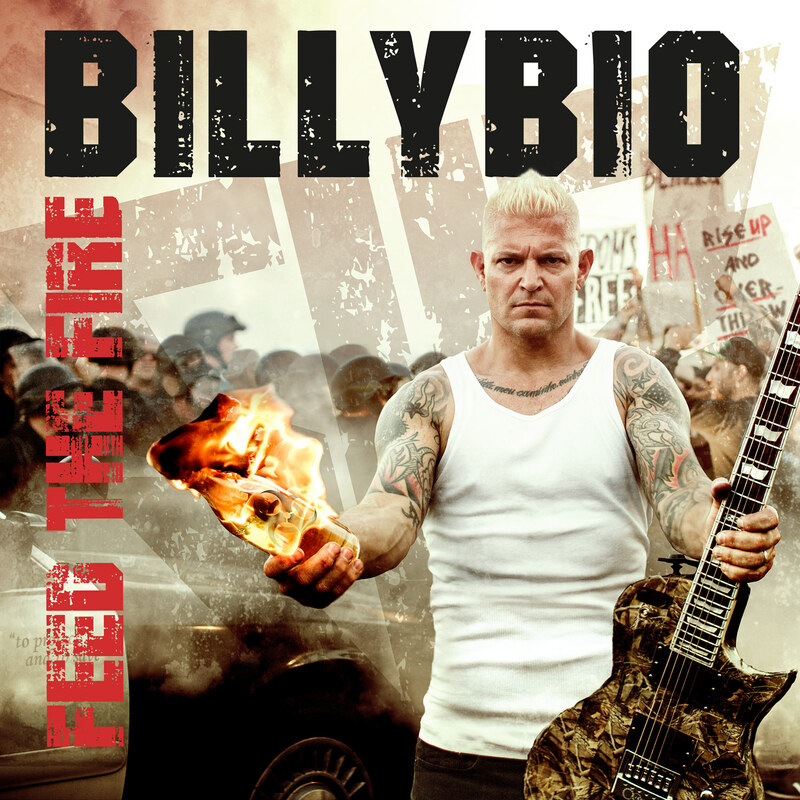 It’s really cool being able to listen to the new project from the frontman of Biohazard, Billy Graziadei. Going under the new name BillyBio, he has released the new record Feed the Fire and I have to say it’s pretty good. I was interested to listen to this right off of the bat as I am a big fan of Biohazard and I’ve always like their mix of thrash metal, punk and rap metal. So, I wanted to hear what Billy could do on his own. This record is an interesting listen, it’s fast pace, heavy and filled with political statements. It’s clear Billy is a great songwriter and I have always appreciated him as a musician. I like the production and the overall sound of the record. Right from the first song, the album hits you in the face with a blast of heavy guitars, bass and drums & the forceful presence of Graziadei. There are lots of moments on the record that get you amped up and raring for more. My particular favourite song in this regard is “Generation Z”. Which, along with the intensity, it has a catchy chorus. Everything presented here hits hard and fast. The general writing quality on display is great with Graziadei throwing in rap verses over thrash metal tones and it all fits together so well. Although, the problem I have with the album is the guitar tone. It’s pretty much the same all the way and it can feel a little samey, hearing the same tone over and over again. It makes the album drag just a little bit. It just grinds away and that can get just a little boring here and there. Even though all of the songs are short and sweet, the never-changing tone just makes it feel like it’s longer than it really is. Only a few songs ended up sticking with me and that because of the great hooks and choruses. So, I am a little mixed when it comes to this album. There are some really good songs when you take them individually but they just become one long mesh when put together on an album. So the album doesn’t really work as a cohesive whole. There is a lot to like, the strong social commentary, the harsh guitars and the commanding bass and drums. Billy is a fantastic frontman and his personality is what sells the album for me. If this was made by a band that didn’t know how to make these elements work it would just be so weak. Yet, Graziadei can take all these elements and throw them together to make a decent album. He’s such a forceful presence, you have to pay attention to him at the end of the day. It’s definitely worth picking up, though I wouldn’t advise sitting through it in one go. This entry was posted on 8th December 2018 at 8:40 pm and is filed under CD, Metal, Punk Rock with tags AFM Records, Billy Graziadei, BillyBio, Biohazard, Metal, Mick Birchall, Punk, Rapcore. You can follow any responses to this entry through the RSS 2.0 feed. You can leave a response, or trackback from your own site.